DCM-PRO is the fastest solution for the installation of a heated decoupling system in all areas, installing electric floor heating in minutes with less tile adhesive. The DCM-PRO is the fastest way to install a heated decoupling system in all areas; in fact 40% faster than standard floor heating membranes. 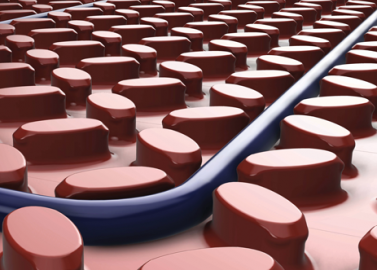 The self-adhesive underside of the DCM-PRO Mat acts as a self-healing decoupling layer and eliminates the need for an adhesive layer, significantly reducing both time and costs. 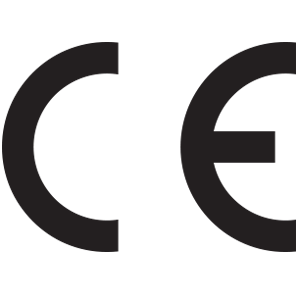 The pre-spaced channels on the mat also reduce time spent on measuring and calculating the correct spacing to output ratio as they are made to correspond directly with the cable sizes. To facilitate installation even further, the DCM-PRO Cable is designed to be highly flexible, providing durability and maximum reliability and comes with a lifetime warranty when installed with the DCM-PRO Mat. As market-leaders in floor heating we can promise our premium quality product is guaranteed for the lifetime of the floor. Adhesive layer slides and stretches with expansion. 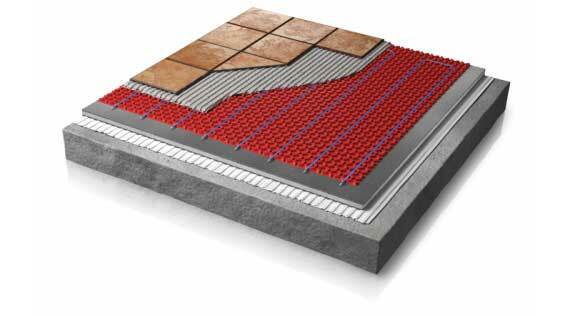 The self-adhesive underside of the mat attaches directly to the subfloor and eliminates the need for an adhesive layer, significantly reducing installation time and cost. 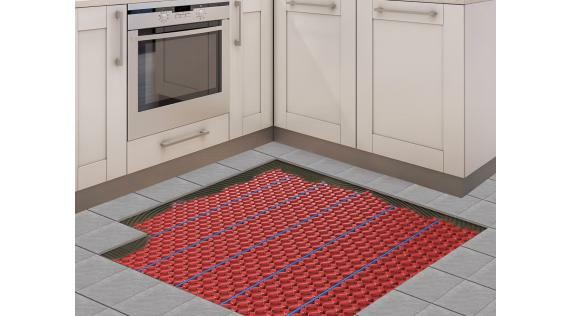 The DCM-PRO can be covered with self-levelling compound, allowing it to heat and protect any floor covering material that is certified for use with floor heating. 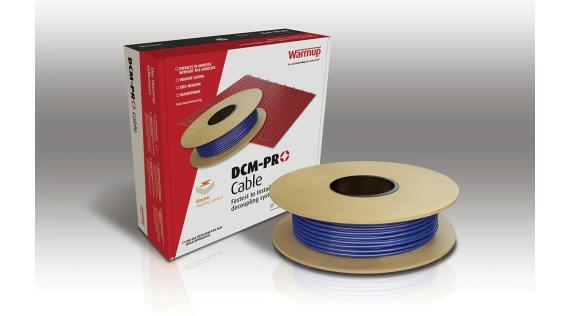 The DCM-PRO Cable is designed to be easily fitted in the mat without any tools. The cable is highly flexible, durable and provides maximum reliability.